Welcome home: This go-to spot shakes up creative margaritas to pair with mouthwatering Mexican fare. 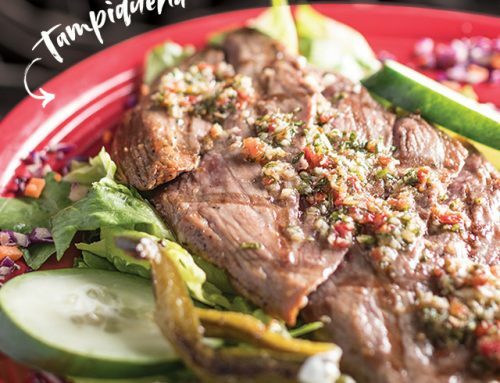 This cocina and cantina turns up the volume on Friday and Saturday nights, with live music featuring both Latin and American musicians. 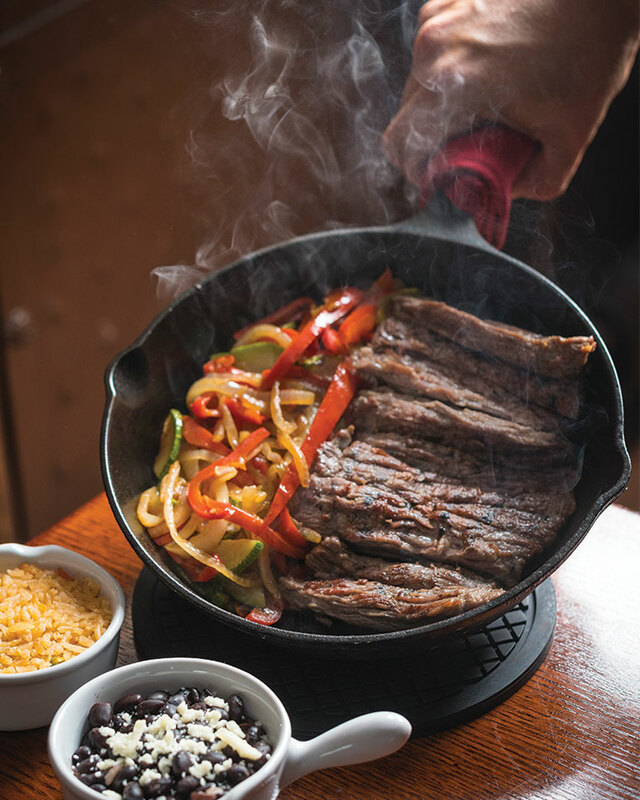 The colorful tile decor, comfortable seating, and enticing aroma of sizzling fajitas are the perfect setting for a casual and festive night out. As one might expect from the name “My Tequila House,” this is the place to hit if you’re in need of a margarita fix. You won’t find any sour mix behind the bar—each margarita is crafted with freshly squeezed lime juice and naturally sweetened with agave. With more than 20 margaritas ranging from Habanero Lime to Coconut Pineapple, there are plenty of opportunities to discover a new favorite twist on the cocktail. Try a bite of everything by ordering several plates for your table to split. 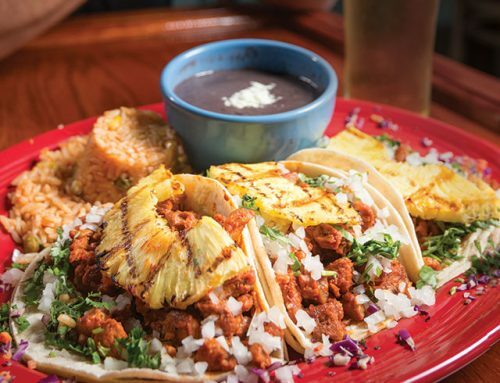 One of the most shareable items happens to be our favorite: the tacos. 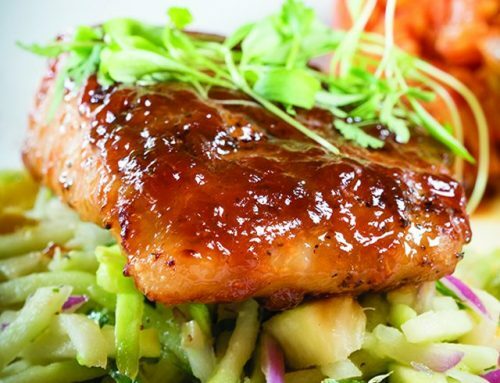 Whether you go for the carnitas, the tuna, or the salmon, each one is bursting with fresh flavors. 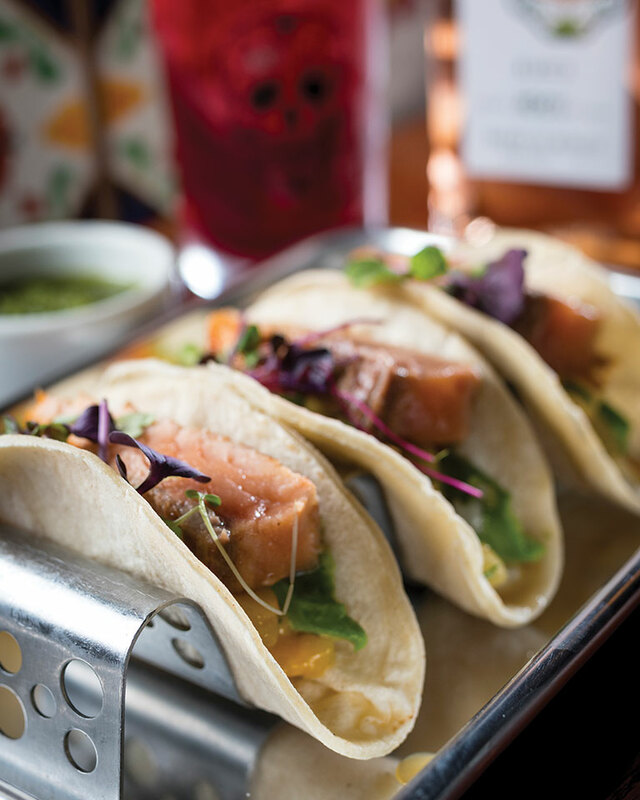 These Salmon Tacos, filled with juicy marinated salmon and housemade mango pico de gallo, are divine. WHAT KIND OF TEQUILA IS AVAILABLE? 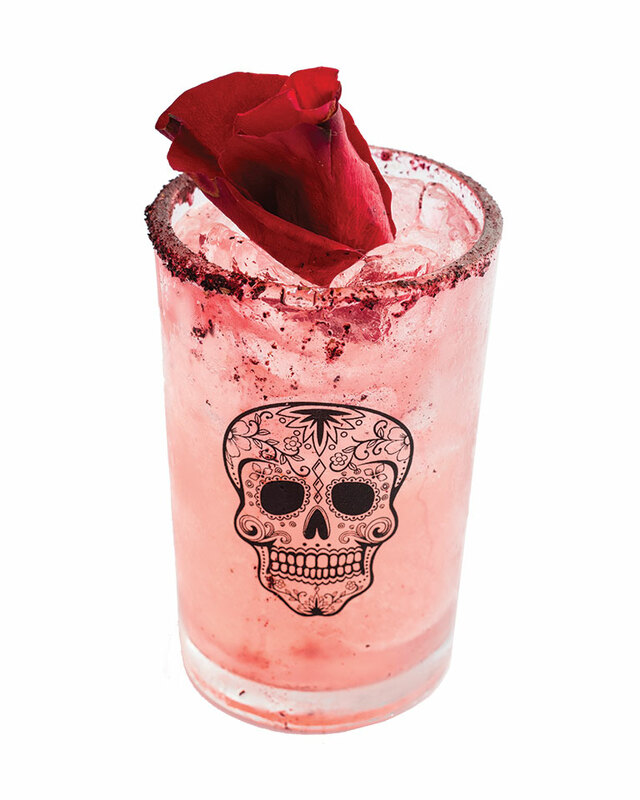 Infused with ingredients like jalapeños or rose the tequila offers a fresh bite to pair with your tacos and enchilladas. 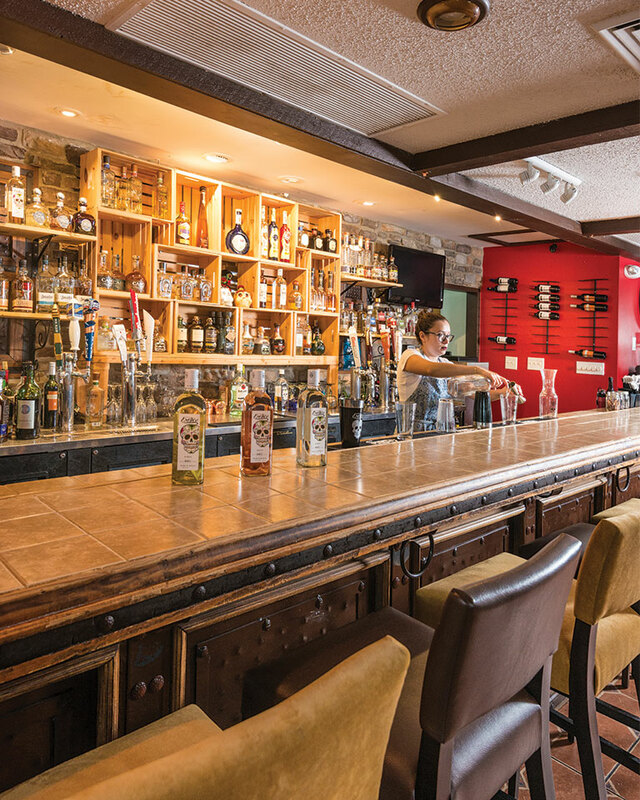 If you’re feeling adventurous, there are also more than 45 different kinds of tequila behind the bar. Try a flight, ranging from the approachable to the top shelf. Try a crepe, stuffed with dulce de leche—a warm, super creamy Mexican caramel—or go for the crowd-pleasing churros. 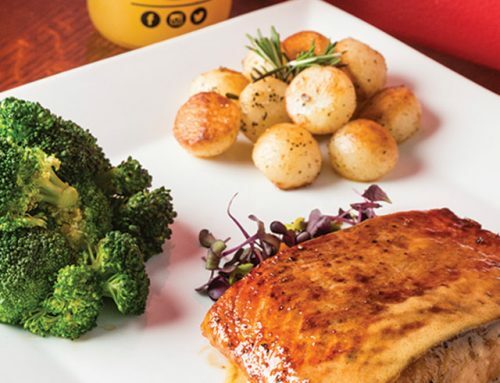 Look for additions like the Steak Medallions and Tequila—8-ounce filet mignon finished with tequila—and baked Mahi-Mahi, wrapped in an aromatic hoja santa leaf.